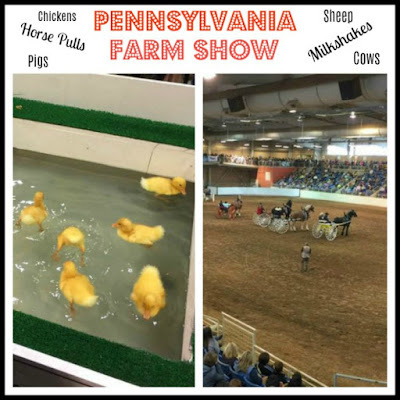 Every year the Pennsylvania Farm Show is held during the month of January in Harrisburg. As the PA Farm Show approaches, everyone in our area gets excited for it's arrival, my family included. I've been going down to the Farm Show almost every year since the early 1980's. It's a great activity that the entire family enjoys. The 2018 Pennsylvania Farm Show will be held from January 6th through January 13th, 2018. Admission is FREE, but if you park in any of their parking lots...you'll have to pay a $15.00 parking fee. There is a FREE shuttle service that runs from the parking lots up to the front entrance into the building. If you're looking for handicap parking, you'll find it right in front of the building near the main entrance on Cameron Street. You'll have to show your placard in order to use it. 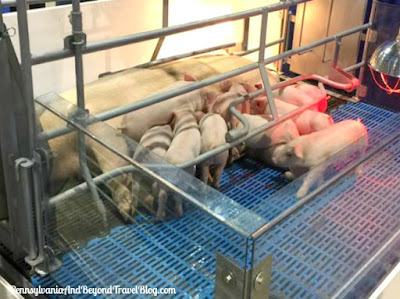 This is the largest indoor agricultural exposition in the nation, with nearly 6,000 animals, 10,000 competitive exhibits and 300 commercial exhibits. 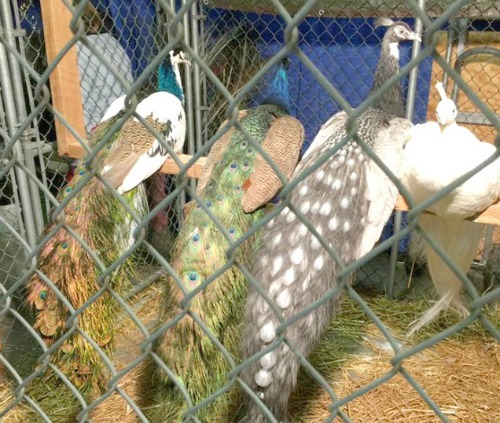 Every day is a different day at the PA. Farm Show with competitions and exhibitions going on. If you're interested in seeing something in particular, you'll want to check out their website for the full operating schedule. We typically plan our visit for an early weekday morning or weekday afternoon, as it tends to be less crowded. Trust me, if the weather outside is decent, thousands of people will flock to the complex during the weekend. Be prepared for traffic congestion and large crowds during weekend visits and during week evenings, after people get off work. One of the biggest features and draws at the PA Farm Show is the handmade butter sculpture which goes on display throughout the week. Every year a new artist(s) sculpts the masterpiece out of donated butter. Once it has been completed, it is kept in a huge refrigerator-style exhibit that is surrounded on all sides by glass windows. Thousands, upon thousands of visitors check out the butter sculpture every year. 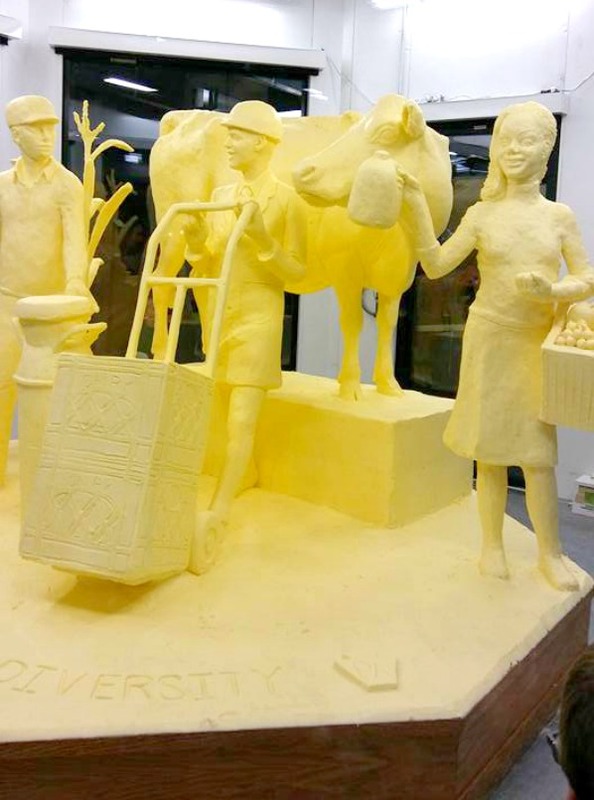 This post was updated on January 8th, 2018 with the photograph below which shows the 2018 Butter Sculpture at the Pennsylvania Farm Show. From what I was told, this particular sculpture was made by a husband and wife team. It features the farmer, the cow and the milk man who is delivering fresh milk to the woman. I really like this year's butter sculpture!!! Every year we look forward to visiting the Pennsylvania Farm Show in downtown Harrisburg, at least once during farm show week. While some of the exhibits and activities return year, after year, they do bring in some new things every year to keep up the public's interest. One thing you can typically count on during that particular week is...wintry weather! The local swear that the weather is always terrible during PA Farm Show week!